There is new ownership over at Scrap Our Stash. Come see the changes and check out the new challenges! Our first one is Kraft It Up. 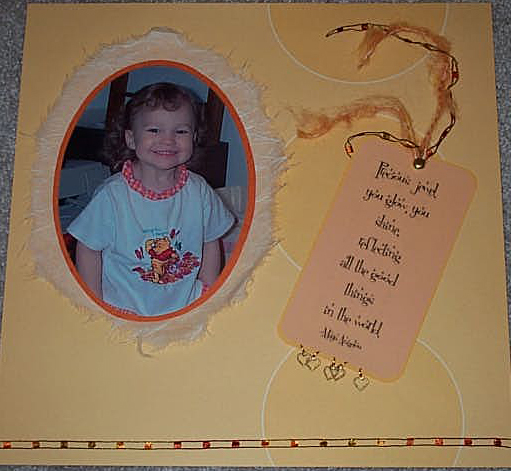 Create a layout using 50% kraft (paper, embellishments, etc.) The stash buster is metal. Use at least 3 pieces of metal embellishments (eyelets, brads, gears, hinges, etc.) on your layout. Supplies used: Close to My Heart Kraft Paper, unknown pattern paper from my stash (it’s from a stack), Close to My Heart Artiste Cricut cartridge, Creative Memories Circle Cutter, mulberry paper from stash, Making Memories Charmed Photo Corners, Making Memories Metal Flowers, Making Memories Metal Word, and Close to My Heart Milepost Shapes (retired). First of all I have to say that I recently bought some Kraft paper because I see it everywhere and honestly…I hate it. So this was a true challenge for me! In an attempt to use up some of my kraft paper, I used it as the background of my layout. The decorative circle is cut from the Artiste cartridge (p.60 – Accent 4 – Shift – Fit to Page). I took the scraps from the inside of this circle image and flipped them around (double-sided paper) and used them to create the flower. I added another circle of mulberry paper that was buried deep in my stash. Do you remember this stuff? I even used my Creative Memories circle cutter. 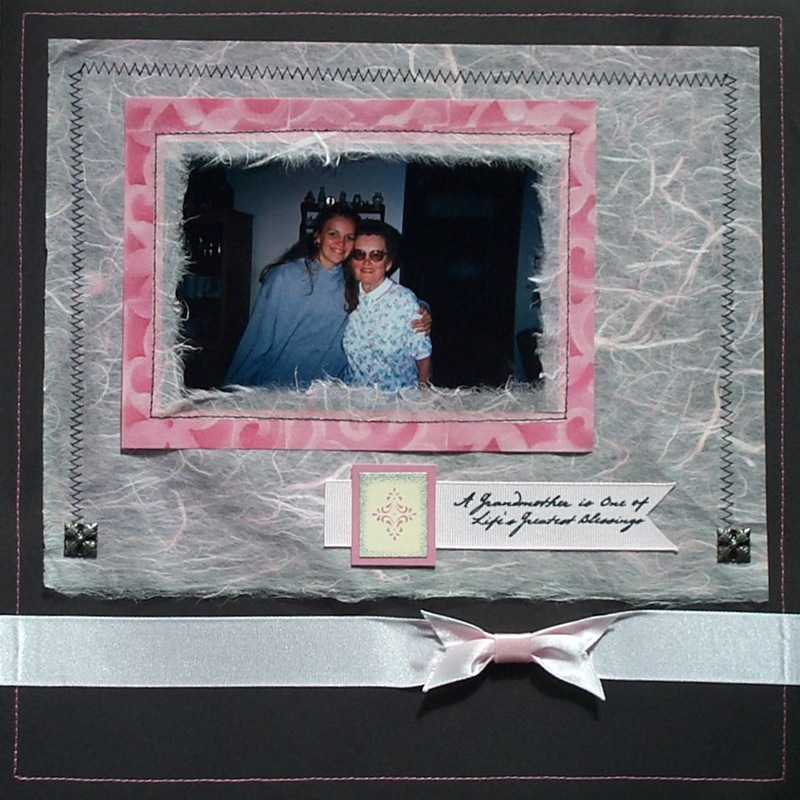 The shapes in the corners of the layout are layered metal pieces, 2 photo corners topped with the flower. 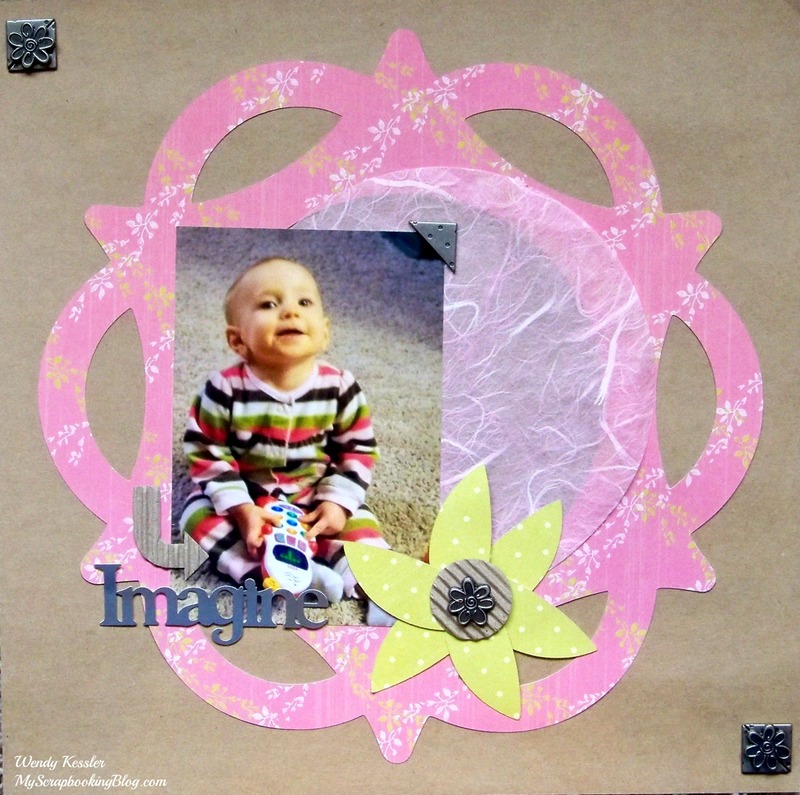 Now head over to Scrap Our Stash and submit your own layout. You have until March 29th. I can’t think of the last time I used mulberry paper. 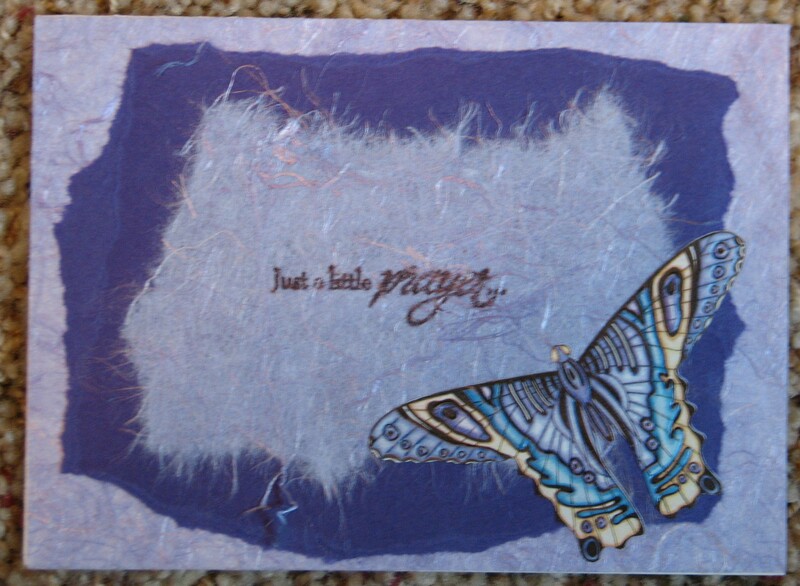 It’s the purple paper that I used on this card. It’s kind of like a tough tissue paper and you wet it and tear it to get the look shown here. This card was one I started and finally added the finishing touches. I used misc supplies from my stash. Dark photos can be difficult to scrapbook. I have learned the best way to scrap these types of pictures is to start with a dark background and then highlight the photos throughout the layout. This will give it a dramatic look and your pictures will stand out as opposed to disappearing on the page. It’s best to keep the matting at 1/16 or 1/8 of an inch. Mulberry paper added a great touch to the layout below. I tore an opening in the mulberry paper (use a wet paintbrush or waterbrush to make this easier) creating a frame which I then stitched to my layout. The dark background works with the darker photo instead of against it, drawing your attention directly to the photo.